The Cork Mother Jones Committee is proud to announce that Ken Fleming of the International Transport Workers’ Federation (ITF) and SIPTU is the recipient of the 2017 Spirit of Mother Jones Award. 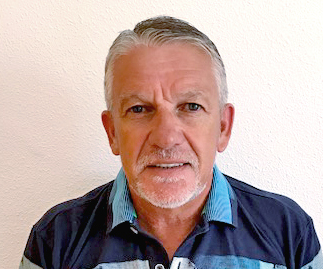 Ken has been an inspector in the ITF since 2006 and the ITF Co-coordinator for Britain and Ireland since 2012 and has sought over the past decade to prevent the exploitation of seafarers on some vessels operating under Flags of Convenience visiting various ports including Cork. Ken has recouped millions of euro in unpaid wages for foreign seafarers in Irish ports, has had several vessels detained and has ensured their crews are repatriated home. He has tenaciously and passionately fought for the rights of seafarers and fishers on the seas and has become one of the best known and respected trade union officials in the world. More recently, Mr. Fleming has been engaged in an international campaign to ensure decent working conditions, employment rights, proper wages and legal protection to the migrant fishers who work in the Irish and the UK fishing fleets. He called for a major overhaul of the Irish fishing industry, claiming in a submission to an Oireachtas Committee that the current regulatory permit scheme for migrant fishers has not worked and instead has led to legalised slavery for many hundreds of migrant fishers. Ken Fleming is a native of Dublin. He started work as a bus driver and worked his way through the SIPTU organisation until he was seconded from SIPTU to succeed the late Tony Ayton in the International Transport Workers’ Federation in 2006. Ken attended the 2013 Spirit of Mother Jones Festival where in an unforgettable speech he spoke movingly and with empathy of the exploitation endured by many seafarers and fishers. The Cork Mother Jones Committee is privileged that Ken has accepted this award which is presented to people who act and work in the Spirit of Mother Jones. We are satisfied that our selection of Ken Fleming for the 2017 award is very true to this spirit. The 2017 Award was presented to Mr. Fleming by the Cork Mother Jones Committee on today (Thursday) afternoon August 3rd at the Firkin Theatre, in the Shandon Historic Quarter of Cork. 2015 Fr Peter McVerry. Campaigner for the homeless. 2016 Mr. Dave Hopper (RIP) General Secretary, Durham Miners’ Association.